What were your ancestors doing at the outbreak of World War 2? 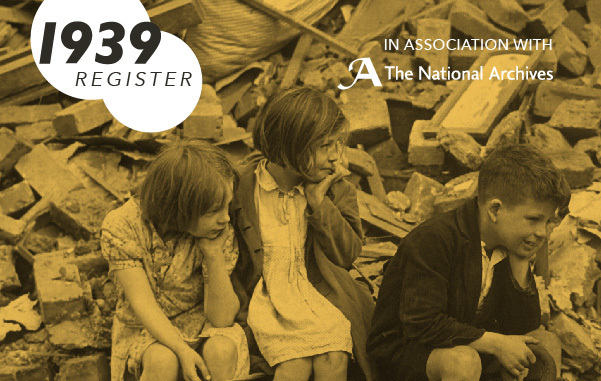 In 2015, for the first time, Findmypast in partnership with The National Archives are publishing the 1939 Register online. This is a comprehensive look at the population of England and Wales on the verge of war and provides an unprecedented insight into the nation at the time. Discover your ancestors that were admitted to one of England's most notorious mental hospitals in over 247,000 new records dating from 1683-1932. This fascinating collection is made up of patient casebooks and admission registers from Bethlem Hospital in London and reveals unique details about the inmates including their medical history, personality traits and the staff that treated them. Uncover over 250 years of mental health cases in these enthralling resources which are available to both search fully or browse through. If you're planning on visiting Who Do You Think You Are? Live at Birmingham's NEC this year, we'll be on hand to give you any advice, assistance or guidance you may need when exploring our records and newspapers. We'll also have a packed schedule of fascinating presentations and speeches given by family history experts and historians, as well as the 1939 Tea Rooms, an authentic 1930s tea rooms created to celebrate the upcoming release of the 1939 Register. See you there! George Grills West was listed as a patient in Bethlem Hospital in 1847. What year was he born?